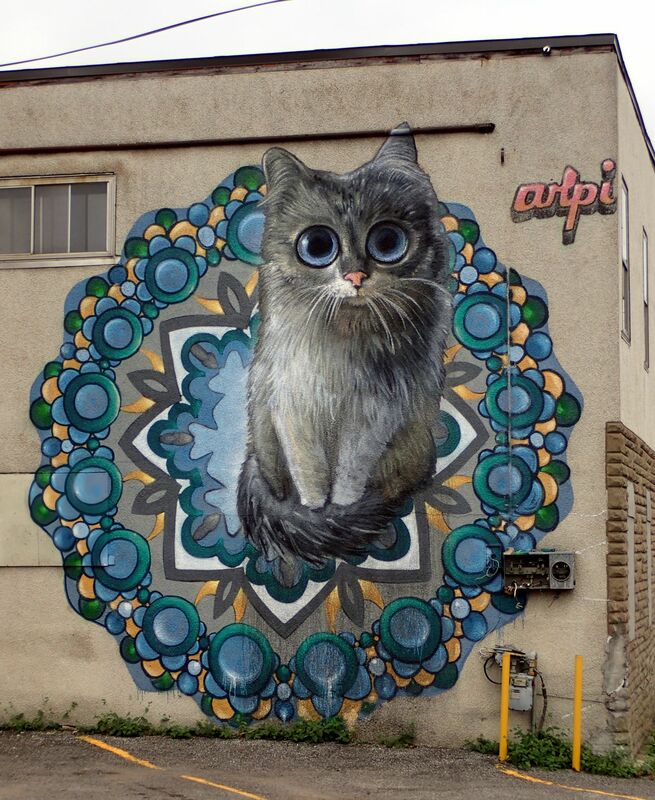 The urban art scene in Ottawa, Ontario, Canada, has truly taken off since I lived in the city 10 years ago. 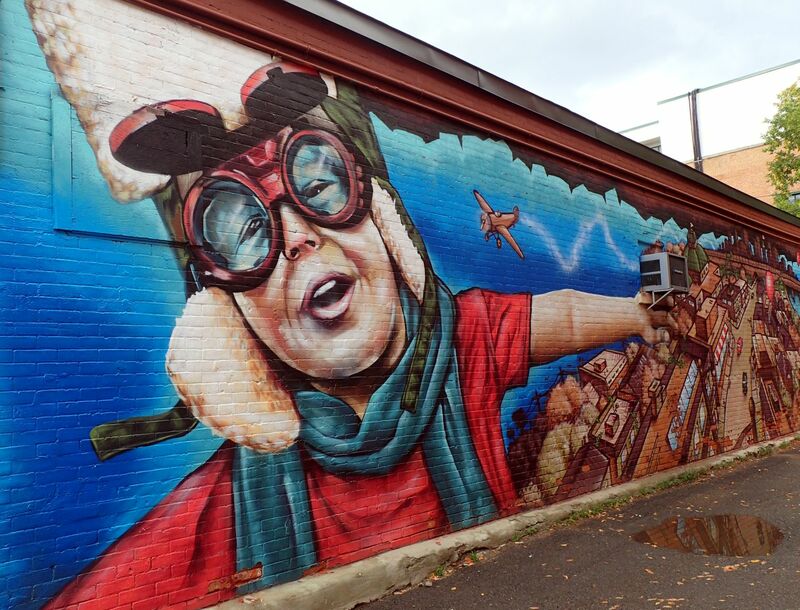 When I visited Ottawa in September 2018, I happened upon dozens of new-to-me murals, sculptures, statues and installation pieces. At times, it seemed like there a was new public art work around almost every corner! 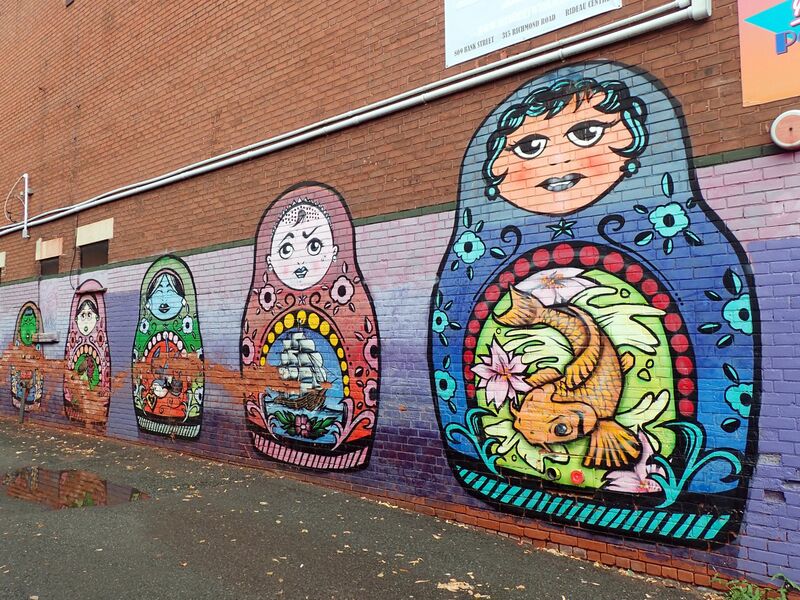 Below are a few of my favourite murals, encountered during my daily wanderings. 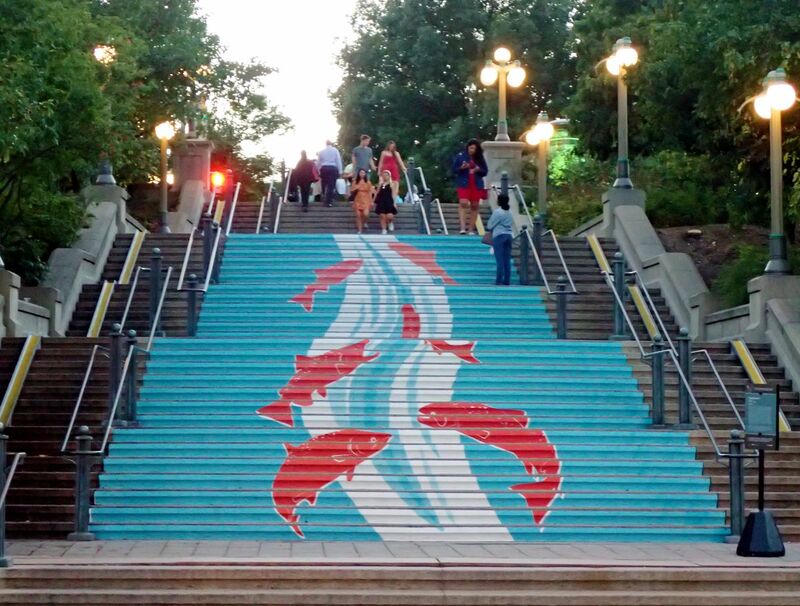 What I like most about this mural is that it’s painted only on the riser of each step — the top walking surfaces remain untouched. 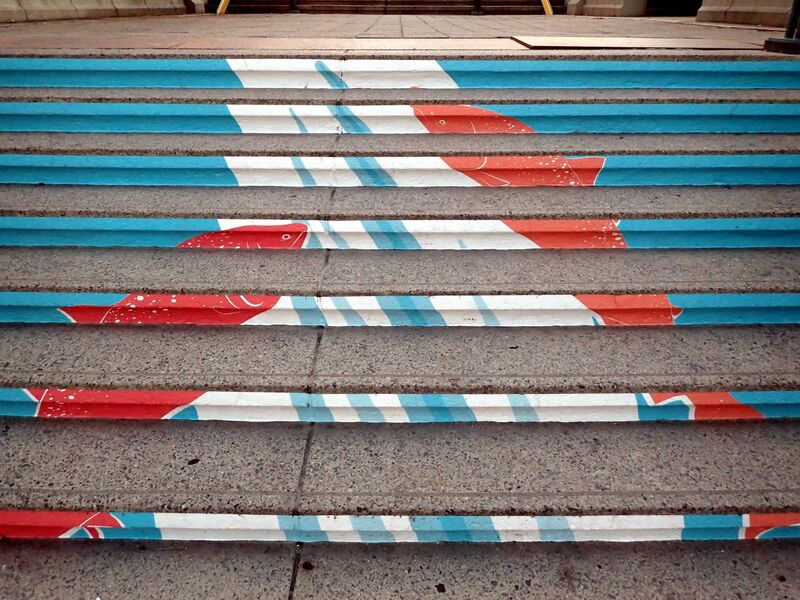 Which means that as you ascend the staircase, the mural breaks apart before your eyes (below). It’s kind of like the cycle of life: how various parts come together to form a coherent whole, depending on how and when you encounter them. Check out Jump! on the York Street steps until March 2019. 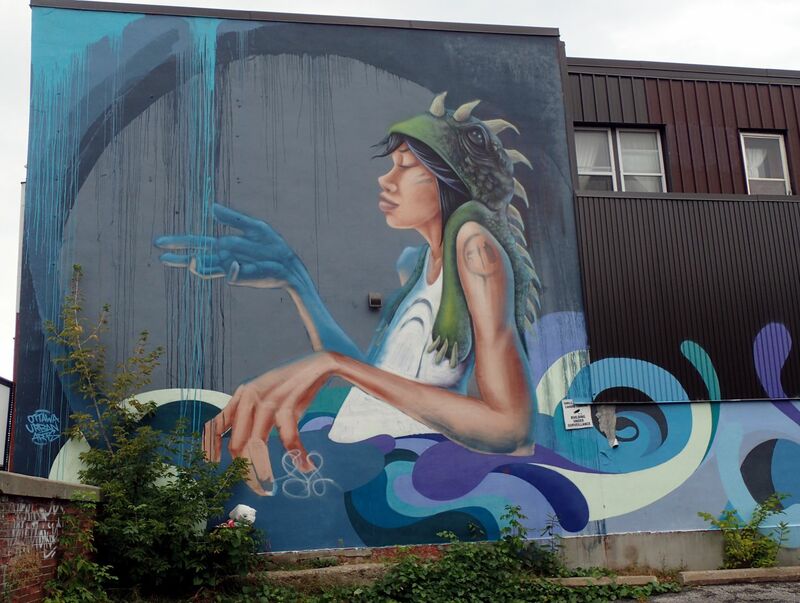 Want more Ottawa urban art?